Versatile and robust for high-current applications. 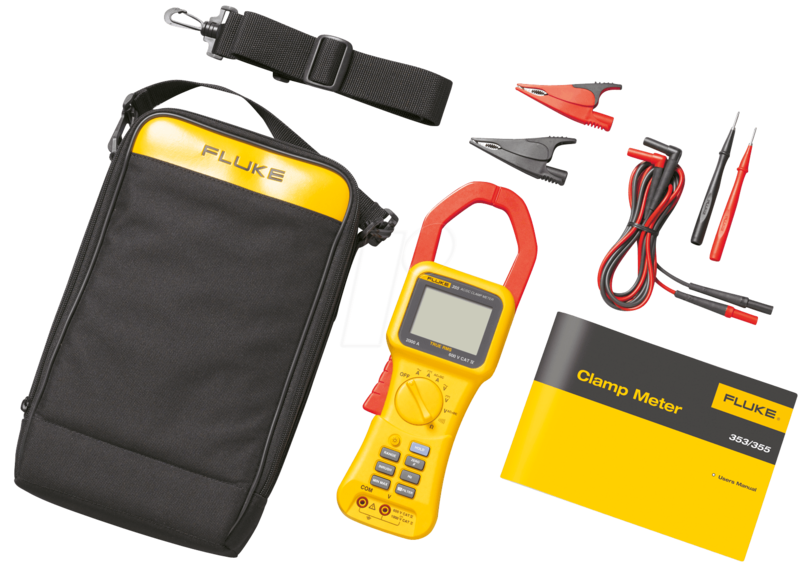 Perform reliable measurements with the Fluke 353 true-RMS digital clamp meter, which enables measurement of high currents of up to 2000 A. 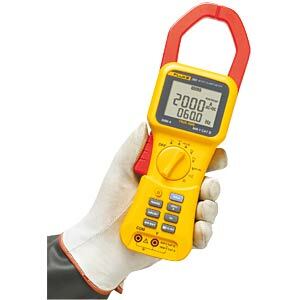 The extra-wide measuring clamp is easy to fit around large conductors typically found in high-current applications. The device has a robust design and meets the requirements of CAT IV 600 V, CAT III 1000 V, ensuring additional personal protection when measuring high currents. The in-rush current function enables accurate peak measurements to be taken — ideal for motors and inductive loads. 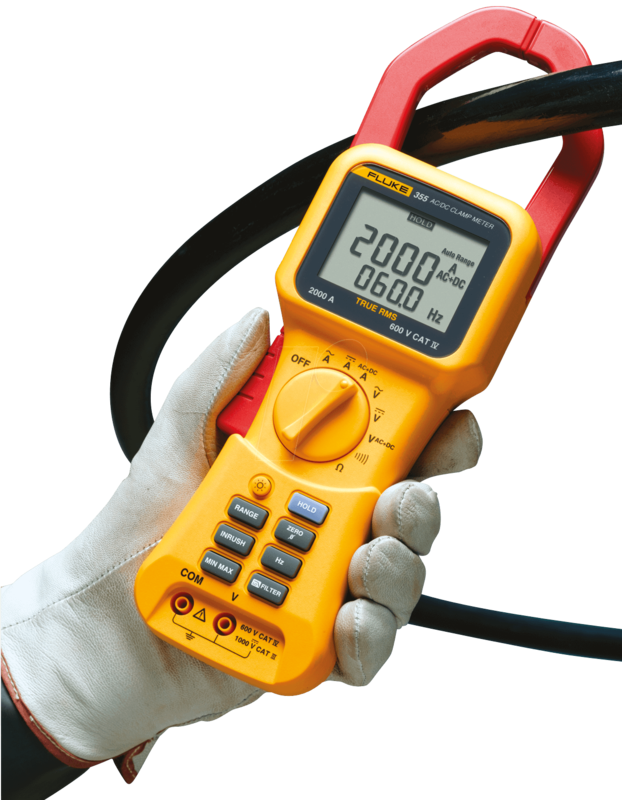 • Reliable handling of high-current tasks with 2000-A AC and DC true RMS, 1400-A AC and 2000 A DC. • The 58-mm (2.3-inch) jaw capacity is suitable for thick or multiple conductors. • In-rush currents can be measured with a high degree of accuracy and reproducibility. 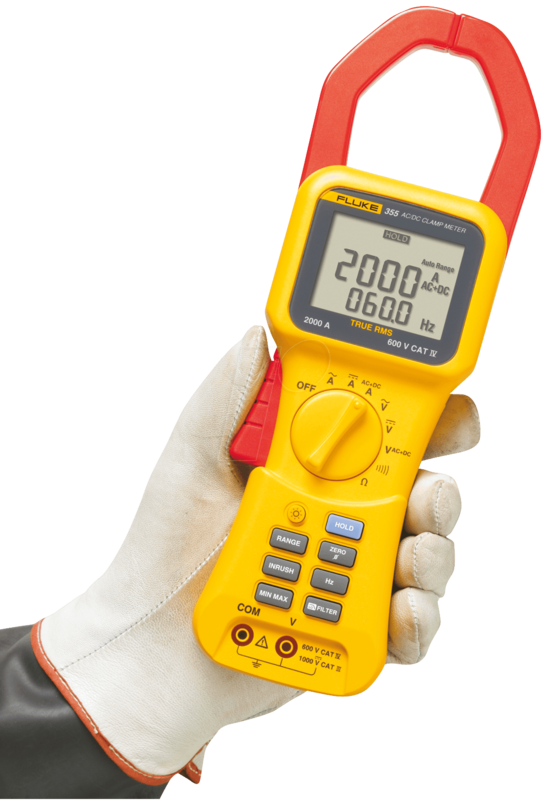 • As high voltages can be measured in the 1000 V AC/DC voltage true RMS, 600 V AC voltage and 1000 V DC voltage ranges, multiple tests can be completed using just one tool. 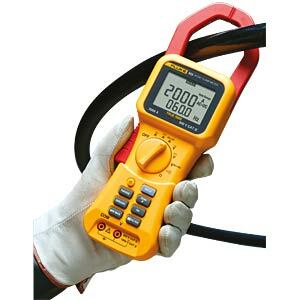 • Resistance measurements of up to 400 kiloohms in conjunction with an audible continuity tester make a clamp meter a practical multimeter. 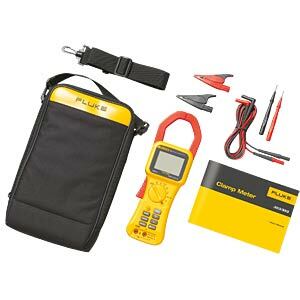 • For optimal troubleshooting, you can perform frequency measurements up to 1 kHz. • Quickly analyse readings using the MIN, MAX and AVG functions. • A large backlit display provides good visibility, even in low-lit areas. • Use the display hold function to capture readings even when the display cannot be viewed. • Use the low-pass filter to smooth out noisy loads and stabilise readings.